In everyone's life, we stumble, fail, fall. This is for everyone, some people like to judge a person based on the fact that they failed. We should never judge anyone lest we be judged! What we think of people shouldn't be based on their failures, but on how they came back from that adversity! In 2010, my life started down a path, Im not proud of. But, sometimes it takes the bottom to make one look up! I've always been able to run, not very fast, but run. In 2010, I strayed away from what had always been part of me and became something that was not me. Looking back, I dont even recognize who I had become. I gained over 35 lbs, I did workout with weights, but ignored running. 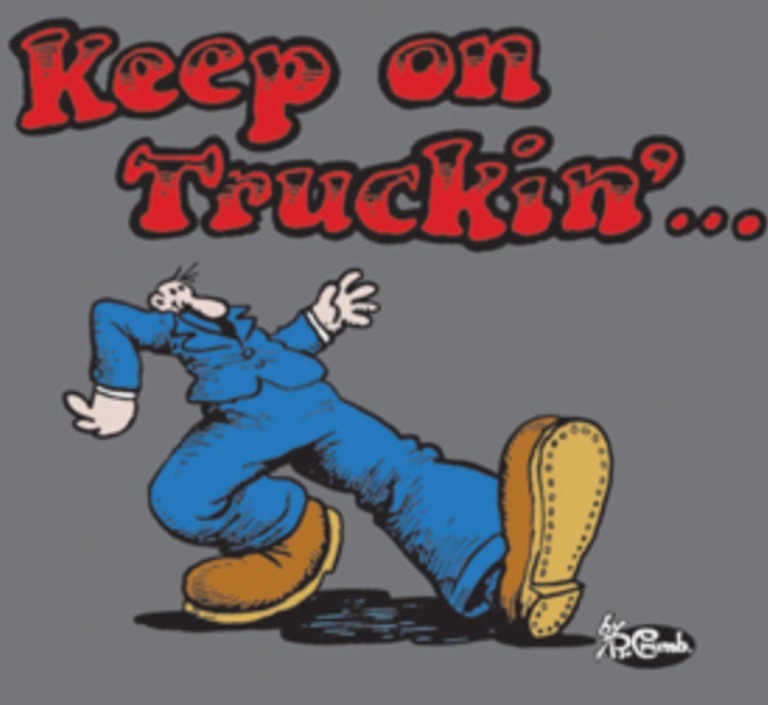 In March 2018, while working under a triple wide trailer helping underpin it for our church youth facility, I tore my left meniscus. There was no doubt, I didnt want to admit it, but, the pain told me what I had to do. So, a visit to the Center for Sports Medicine and Orthopaedics in Chattanooga,Tn, a few x-rays and MRI later, my Dr Timothy Ballard told me surgery was required. Dr Ballard, being a runner himself, knew what it meant to lose the ability to run. He was very encouraging and optimistic. I had surgery (arthoscopic) May 11, 2018, all went well and 10 days later I was released. During the surgery, Dr Ballard removed some of the meniscus. When he released me, he said to do whatever I felt like. In other words, whatever the knee allowed, do it. While he was in the knee, he inspected it for additional wear/tear because of my running history. He found no abnormal wear for someone my age. There was a small bit of scar tissue behind the patella, but nothing of concern. He removed that scar tissue. Now, believing you have lost the ability to run is an eye opener!!!! It motivated me to get back into shape and run again if I could!!! A COMEBACK!!! Knowing weight would be detrimental to the knee especially running on it, I decided not to run on it until I had lost at least 25 lbs (200 lbs). So, walking it would be for a while. I started walking short distances at first, modified my diet......note I didnt say starve myself. Its important to provide the proper nutrition even when losing weight!!!! Besides, Im trying to heal a knee!! During this period of recovery, yes, I did try to run a bit ( shouldn't have) it hurt!!!! So, walking it was. This motivated me more, I would walk sometimes up to 15 miles at a time, the weight started coming down. It was about this time, I remembered a race that I had always wanted to do. 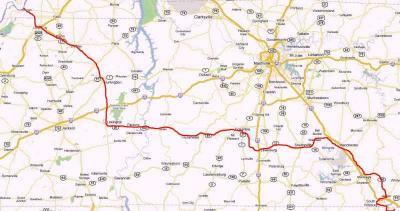 "The Last Annual Volstate 500k" not a typo, 500k or 314 miles. First off, the race was started by Gary Cantrell aka Lazarus Lake. For the ones not familiar with Laz as folks in the ultrarunning circle calls him, he is the mastermind behind the "Barkleys" marathon, the "race that eats its young" . That is a 100 (?) mile race in Frozen Head State Park near Wartburg, TN. For many years, there was no finishers!!!!!! Now, I believe there may have been 15 over the last 25 plus years!!! The Last Annual Volstate 500k was created during the 80's when all the races seemed to be called "the First Annual" race. So, Laz's twisted mind called it "The Last Annual Volstate" The race starts with a ferry ride across the Mississippi River from Kentucky to Dorena Landing, Missouri. Once in Missouri, the runners disembark, walk a few yards up the road. Laz, lights a cigarette instead of a starter gun and the race begins. The runners load back on the ferry and ride back across the river for the easiest part of the race!!! Once docked back in Kentucky, the runners start to make their way along a course from Hickville, KY to Castle Rock Georgia, along the backroads thru 5 states. 314 miles, you have 240 hours or10 days to complete it. There are 2 categories of runners, crewed where the runner has someone in a vehicle travel the course and provide whatever the runner needs. The other is the self-crewed or also called "screwed". This is where the runner has to either carry what they need, pick it up at a store or do without. The only time a screwed runner can accept anything is either by another "screwed" runner of from a "Road Angel". A road angel is a local person living along the course that offers aid in some way. If I wasn't going to be able to run, maybe by doing the math 314mi /240 hrs equals 1.31 mph or just under 46 minute miles. Of course, rest and meals would have to be allowed for. Seems doable even if I had to walk. Well, there was no way I would be able to do 314 miles in July 2018, when my goal coming out of surgery was to be able to run a 5k by July 29, 2018. Hmmmm, But, I had made up my mind to enter 2019 when entry opened. I followed the website and the updates during the 2018, and waited for each checkin at 7:30 each morning and night. Here I was planning on "running" in the 2019 race when I couldn't run a 5k. In fact, I did manage to achieve my goal of running a 5k on July 23, 2018 in a time of 33:34. A week after the 2018 Volstate was finished. Now, I'm dreaming of running 2019. Shortly, after on August 1, 2018, by some unknown reason, I checked when entry was going to open for 2019 Volstate. Believe it or not, it had just opened up, knowing that last year it filled up within hours, I entered right then!!!!! The race was filled within hours!!! So, I'm entered in 2019 Last Annual Volstate, one of the 100 screwed runners and 22 crewed runners. I'm sure the list will change before the ferry runs, because some folks will have conflicts in schedule, injuries etc. All along, I had a plan on where I wanted to be during parts of the year rehabbing my knee. Volstate is just the huge carrot out there. Big enough to choke a large elephant!!! I wanted to be able to run a half marathon by October 31, a marathon by December 15, 2018. I entered a 17.5 mile trail race called Big Southfork September 29. I ran it, went too fast, not used to pacing myself (rusty). But did manage to run it in 4:07:35 and took 3rd place in my age group. A surprise! On October 20, I ran a 5k in Clinton, TN in 27:06 and placed 1st in my age group. I had entered the Chickamauga Battlefield Marathon held on November 10, 2018. I travelled to Utah to visit my son and his family over Halloween. I was on the taper part of the training for the upcoming marathon which I had planned on a few miles in the gorgeous state of Utah!!! When I got there, My right knee ( not the one I had surgery on) would not allow me to run anything until I warmed it up by walking 2 miles!!!!! Here I am within 2 weeks of a marathon and cant run!!!! We got back home to Tennessee, a few days before the marathon. I was able to jog slowly with no pain a few miles leading up to the race. Raceday came and the weather had been rainy, so the staging area of the race was very muddy, the temperatures dropped to the 30's with gusty winds. the forecast was for sun, cold and wind. I started out conservatively, and everything seemed to be working right!!!! I did experience the wall about mile 21, had a few leg cramps around mile 23 but, managed to finish the marathon in 4:50:35. My goal was to break my time at Chickamauga the only other time I had ran it as a training run back in 1982 (5:10:00) That I did! This brought me into the holidays and winter, both hinders a runner's training. However, I managed to keep focused, maintained my weight and pace. I ran a half marathon in Strawberry Plains on February 2, 2019 and finished with a time of 2:03:53 and placed 3rd in my age group. After this run, I suffered a slight tear in the plantar fascia. It's the tendon that runs under the bottom of your foot, heel to toes. I ran twice during two weeks to allow healing and implemented some extra stretching to aid in healing. I am now on track again, my training is progressing on schedule to run the Covenant Health Knoxville Marathon on March 31, 2019. My goal there, is to finish in sub 4:30:00. All these goals get me to April, where I want to be in the best running shape I can be. By training for the Knoxville marathon, this should do this, if I remain healthy!!!! April, after some recovery from the marathon, I will begin training for 2019 Last Annual Volstate. I plan on doing most of my training during the heat of the day, using all the equipment I plan on using at Volstate. I will also, incorporate long walks/run which I plan on several to exceed 30 miles. I also want to run/walk twice on some days, one in the heat the other at night. This will simulate conditions during the race!!!! long distances in heat while fatigued. Is there anyway to prepare for a 314 mile race through Tennessee in July???? 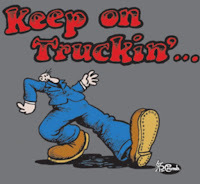 All I can do is keep on my schedule, keep positive, don't quit!!!! As my Dad always told me when we worked in the fields when I would say I was tired!!! "Give Out--Don't Give Up!!" I will keep updates on my journey along the way!!! Camino de Santiago 2014, Yeah, it's a bit Late!!!! Well, as often times in life, Life happens and we go different directions with our interests, friends, and life's paths. 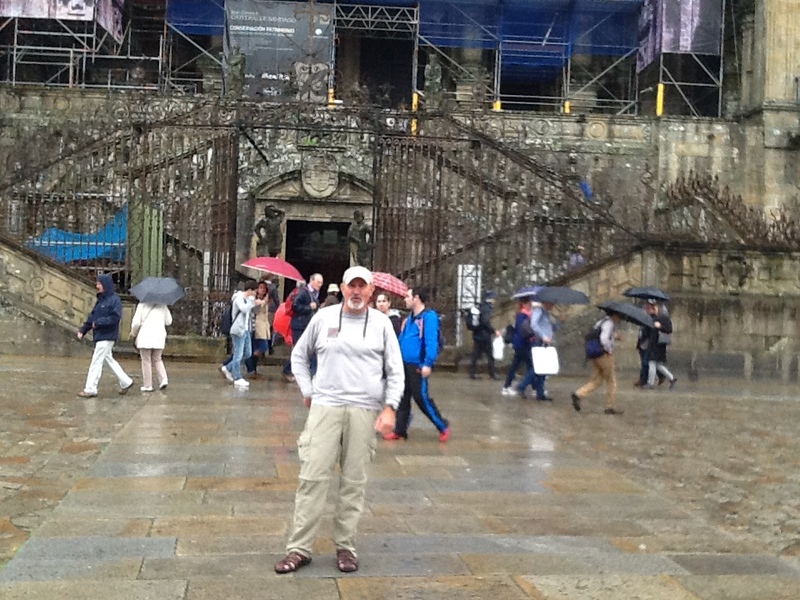 I did walk the Camino de Santiago in 2014. I did slow down a bit and enjoy the scenery more. Now, in 2019, it still was too fast. I finished the 500 miles journey in just at 35 days. That was about 14 miles per day. There was a lot more options on the Camino than in 2012. More variety in food and electronic (WIFI) (called Weee Feeee there, lol). I met some amazing people along the way, and enjoyed it very much. As Ive said before, this is a special journey and I would recommend it to anyone who seeks the feeling of being free! 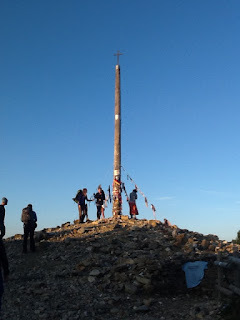 As I'm finishing recalling and writing my blog about the 2012 Camino de Santiago, I'm planning to walk again in just over two weeks! There is something about this journey, I don't think I can put into words what it means to be there and how it effects you. As I'm writing, I am finalizing my packing. I have added some items from last time and eliminated some. I have reduced my clothing and added my IPAD. Last time I walked, all I had in the line of electronics was an Ipod, phone calling card and camera. I still will use the calling card to keep in touch with home, along with trying to Skype. This time, I'm going to slow down, enjoy the journey each minute and not be concerned about the destination each day or Santiago. I loaded and weighed my pack this morning and it is 7.7 kg or 17 lbs. It is a couple of pounds heavier than last time, but the IPAD is the difference. I sure hope that it is worth the extra weight! I'm going to try and keep up while I'm walking, but internet access and time in the evenings may be limited. 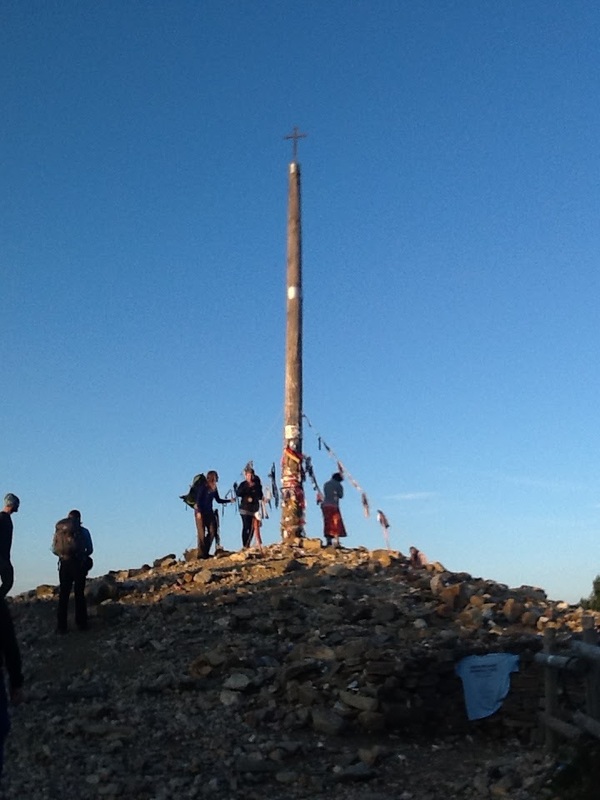 I certainly don't wnt to wait 2 years to write about this Camino. Day 29. With just over 20 km or 12.5 miles left, it was bittersweet. There was an excitement about reaching the end along with knowing a great journey was ending. Along the Way, I had met many people from all over the world. Shared laughs, miles and meals with. Now, the final walk into Santiago, didn't seem so far now. It was still dark, and I had just started walking down the hill from the albergue and entered a wooded path, it split 3 ways. A couple of other pilgrims and I were trying to find markers. An Englishman came up and said that he knew a sure way that he had seen the day before and retreated out of the woods. I looked at the paths themselves and looked for the one with the most wear from pilgrims feet. I took it, the other pilgrims took another one. We walked into Santiago together, we remarked that we both did not expect to walk through so much city to get to the cathedral. It was a glorious sight to see such a magnificent structure!! We saw and met folks we had walked with along the WAY! I had just finished walking 789.1 km or 490.3 miles in 29 days, not counting walking around all the towns each day. This was not the end of my adventure, I still had to get back to Madrid to catch a flight home. It was uneventful with planes, trains and automobiles, lol. Would I do it again? You bet!!! Arriving in Santiago was not and will not ever be the goal. Day 28, early start as usual. As I said before, the last 100 km was filling with pilgrims. It was fun to see their excitement as they wished you a Buen Camino! I hope they didn't take my lack of excitement negatively. It was after 400 plus miles and thousands of "Buen Caminos", it was becoming more of a going through the motion rather than an emotion. It is really amazing how the scenery changes across all of Spain. The menus, housing and weather is a bit different as you walk. The last several kilometers have a few hills, but not the major mountains encountered in the beginning leaving St Jean Pied de Port and approaching O'Cebreiro. The walk today was full of pilgrims. The last bit, is a combination of highway and wooded trails. As I approached O Pedrouzo (Arca) the albergues and town was to the left off of the Camino. It was a small climb into town, I stopped at the first albergue and had to wait an hour before it opened. It had 120 beds and was located next to a supermarket. This made it easy shopping to create my own dinner for the night. I had walked 33.3 km or 20.6 miles. 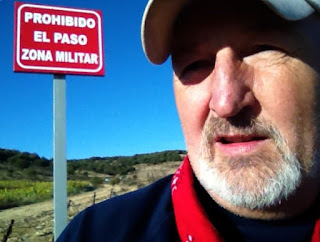 I now had 20.1 km or 12.5 miles until I reached Santiago de Compestela!!!!!!!! For the week, I had walked 229.7 km or 142 miles. I averaged 20.3 miles per day on the 4th week. By the end of week 4, I had walked 769 km or 476.8 miles, averaging just a little over 17 miles per day. Tomorrow, I walk into Santiago de Compestela! Day 27, I started to smell Santiago de Compestela! An old saying in America, " smelling the barn door". Like a work animal, smelling the end of the day and the barn door. Thomas, wanted to start later and said he would catch up with me. I had no doubt he would. I started at 5:30. I wasn't the only one up, 3 Czechs were up and ready to go. They shared some coke (as in cola) and pastry. We started out together. They did not speak much English and my Czech was rusty! We all got confused by the markings and using sign language, map pointing, we found the correct path in the dark. Hoerreos are used to store grain like corn for livestock. They allow air circulation and note the shape of the legs to prevent rats from getting into the grain. I walked 33.1 km or 20.5 miles. I am now 54 km or 34 miles from Santiago!!!!! I walked the way again, and careful to follow the arrows, when I saw a faint blue light in the distance. As I approached, it was a young German college student. His light had quit working. This is where I met Thomas. He asked could he walk with me. He was much faster than me, but, I had the light! We had a great conversation during the day. He chose to stay with me, even when it became daylight. One burning question I had, was what he was taught in school about Hitler and WWII. It seemed that he was taught very close to what we teach. It was in Portomarin, Thomas needed a new flashlight. So we went downtown and found a small store. The old storekeeper showed Thomas a small flashlight and demonstrated it. Thomas bought it. The store keeper gave him one out of the display, not the one he demonstrated. I had a lot of fun with Thomas telling him, the store keeper only had one light that worked and he would use it to demonstrate the light and then sell ones that did not work. I really think the kid believed me, lol. Thomas was also worried of not getting a bed. It really stressed him. It seems, there was one night back, where he had to sleep outside. He was not accustomed to camping so it was upsetting to him. He kept worrying and hoping we could get a bed. We walked on to Gonzar, where we got in the Albergue Gonzar. We got the first 2 beds. We went to eat, and when we came back, the albergue was full! You see, from Sarria to Santiago, the last 100 km is all anyone has to walk to get the Compestela. A lot of people do only the last 100 km, it is something in Spain that most people feel obligated to do once in their life. There was a bus parked in front of the albergue. It seems that travel agencies book pilgrimages for people, pick them up along the way and bus them to albergues. I hope they don't knock people who walk the entire way out of a bed, but I'm afraid the almighty euro talks. I walked 30.2 km or 18.7 miles. Day 25 proved to be the worst day on the Camino of the entire trip. I awoke at 5 am and ready to walk by 5:30. I quietly exited the albergue along with a French couple. As we went outside, the weather was horrific!!!!!! Fog, windy, rainy and cold. After about 50 meters, the French couple turned around and went back to the albergue. During the next 4 hours, I had second thoughts as to my decision. I had only a small headlight, as I walked down the steep mountain, the wind was unlike any I have ever walked in. More than once, it unfastened my poncho and tried to rip it off of me. I kept telling myself, if I can get off the mountain and get to daylight, I would be ok. Not many pictures on this day. My camera was in my pocket. It proved not to be that protected, as it got water in it. It dried out, but I had come cloudy images for a day or so. I did make it to the bottom of that mountain and daylight, but more uphill and rain would come. The storm subsided, but intermittent rain throughout the day. My feet were soaked and I knew I had a large blister. I am the type of person, once I get into a miserable situation, complaining does not help. I seem to thrive off of the misery and it seems to motivates and drive me more. While I was alone, wet, cold I just kept walking until I got to Sarria. Population of about 13,000 people. I found a private albergue for 10 euros. They had a place to dry your shoes. If I haven't mentioned it by now, a pilgrim must pull off their shoes before entering the sleeping area. I guess it aids in the housekeeping. The albergues must be cleaned each day before the next group of pilgrims arrive. This albergue had a washing machine. Anytime I had an opportunity to wash my clothes with a washing machine, I took advantage of it and washed all my clothes. You don't know when the next washing machine will be. I ate dinner and crashed early, I was tired, cold and wet to the bone! I had walked 2 of the recommended stages today. I walked 40 km or 24.8 miles in the rain. Day 24, no rain but cloudy. We set out early and the pace that Greg and the girls were setting, I could not keep up. I'm a slow walker, like a turtle, but I get there. The terrain as I mentioned earlier had changed. I was getting closer to the west coast of Spain, more mountains and weather patterns (i.e. rain) from the Atlantic Ocean. I walked alone for quite a while, one thing kept bothering me. A girl from a European country like Belgium was dragging her walking poles on the pavement. It was really annoying. I tried to walk faster, with no luck. I tried slowing down, no luck. Finally, we got separated somehow. If you have walking poles, you use them, pack them on your back, DO NOT DRAG THEM! lol. The walk was so different. The scenery had changed so much, so wet. Finally entered the town of O'Cebreiro. Basically made out of all stone. Stayed in the municipal albergue, very nice 5 euros. Greg and the girls were waiting on me there. This is where I met Gary, a retired State Department employee. He and I would later dine on pulpo in Santiago, but I'm getting ahead of myself. I had planned an early morning start, but Greg and the girls were not in for it. I would be leaving alone in the morning. I walked 30.1 km or 18.7 miles today. Day 23. As I got up, packed, ate a snack, I was waiting on Greg and the girls, I went outside to check the weather. It was beginning to rain. I went back inside and broke out my poncho. This is the first rain (except the small shower in Azofra) since I started September 1. The showers were intermittent as we made our way to into Ponferrada. Ponferrada is also noted for its Castillo de los Templarios, a Templar castle which covers approximately 16,000 square meters. In 1178, Ferdinand II of León donated the city to the Templar order for protecting the pilgrims on the Way of St. James who passed through El Bierzo in their road to Santiago de Compostela. It was obvious by now, I could not keep up with the Olympic class rower, Greg and the girls ran off and left me. By end of the day, the rain had all but quit. It started to rain just as I checked in the Albergue de la Piedra. Greg and the girls were already there and had saved me a bed. We had a great dinner, I was needing cash but the ATM's would not work. All over town. I needed some aspirin so, I went to the Farmacia. I got some aspirin with codeine in them. You could buy things in Spain over the counter that needs a prescription in the US. The pharmacist told me to wait until bed to take. I went back to the albergue aand took 2. I laid down and within 15 minutes I was sound asleep! lol. Today I walked 30.9 km or 19.2 miles. Larry H. Lyda Born in Rural Alabama (NO! Not Greenbow, AL). Actually in Stevenson, AL. I was raised on a farm, I either walked, ran or biked everywhere I went. I played several sports but was never any good at any. I was and still am a middle of the pack runner. I now live in Spring City, TN. There's a long story on how I got the nickname "SNAKE", ask me at a race sometime. The rumors about me once biting a snake after it had bit me are not entirely true. My Dad worked hard as a farmer to provide for the family. He taught me hard work and discipline. One of his quotes will forever be my motto. "GIVE OUT--DON'T GIVE UP"